An experience - not a language school! The best way to learn Italian is to live it! 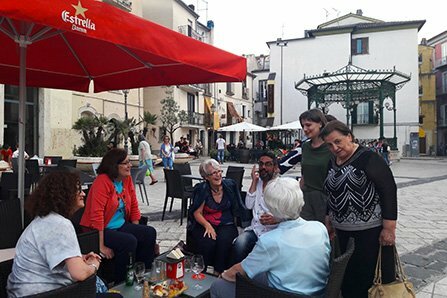 Practise Italian in a small town. Live amongst a friendly, welcoming community that does not speak English. Converse with the townspeople, learn through visiting, and exploring local history and traditions. 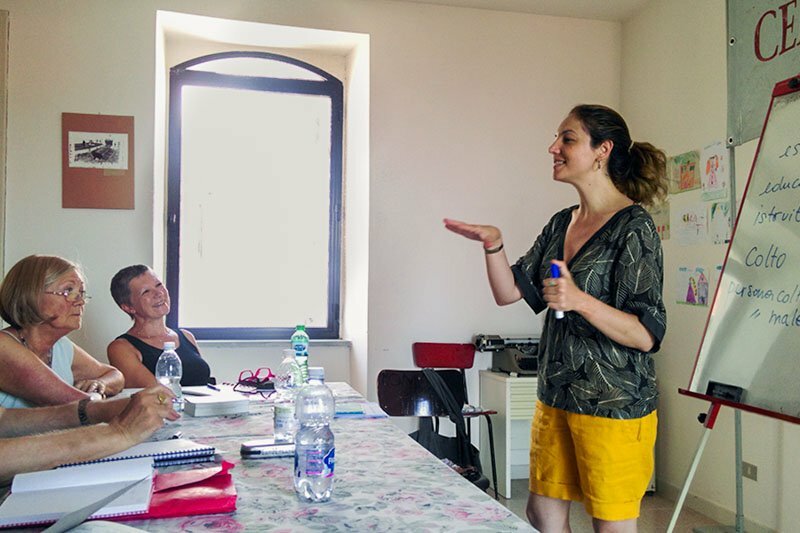 This is not really a language school, it’s an experience because the best way to learn Italian is to immerse yourself in the lives of the people. 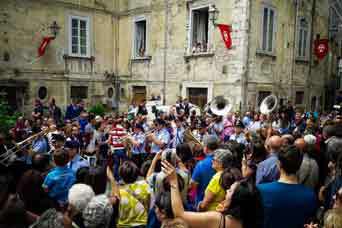 Live and Learn Italian is a small independent business set up to offer Italian learning holidays, off the beaten track. 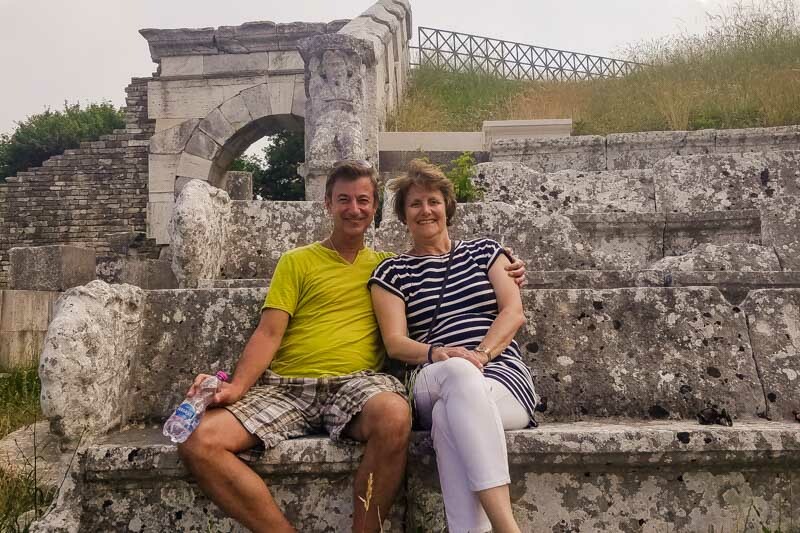 We welcome anyone wishing to improve their Italian and explore a traditional community far from tourism and commercialism. 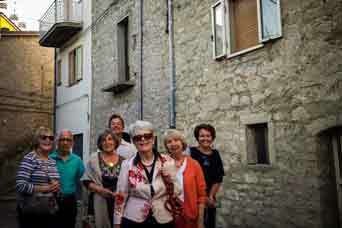 Our local hosts and guides are extended family members, old friends, or new ones - brought together by our joint wish to share the extraordinary culture and ambience of this town, called Agnone. 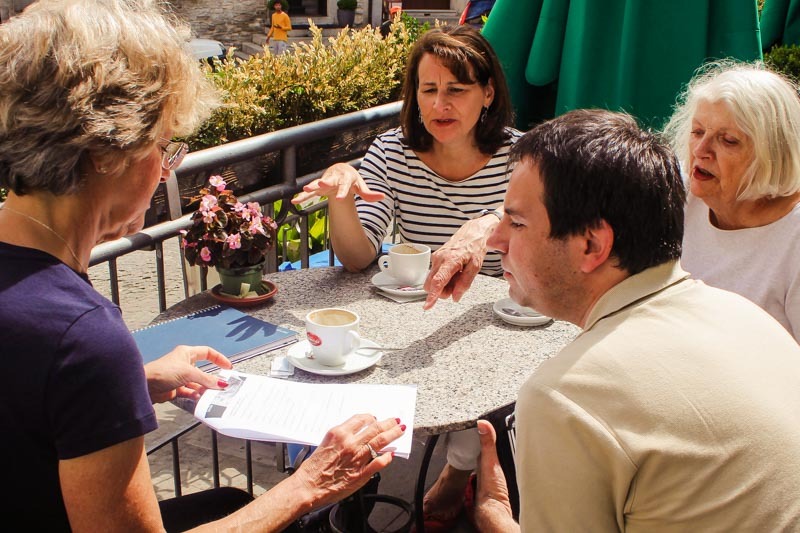 Our Italian language classes are taught by fully qualified native speakers and the course workshops and tours are led by locals to the town or its environs. Fully qualified native Italian teachers work in groups - maximum of 6, generally 3-4. (Read our reviews) The focus is on practising what you already know, and then taking the words off the page! 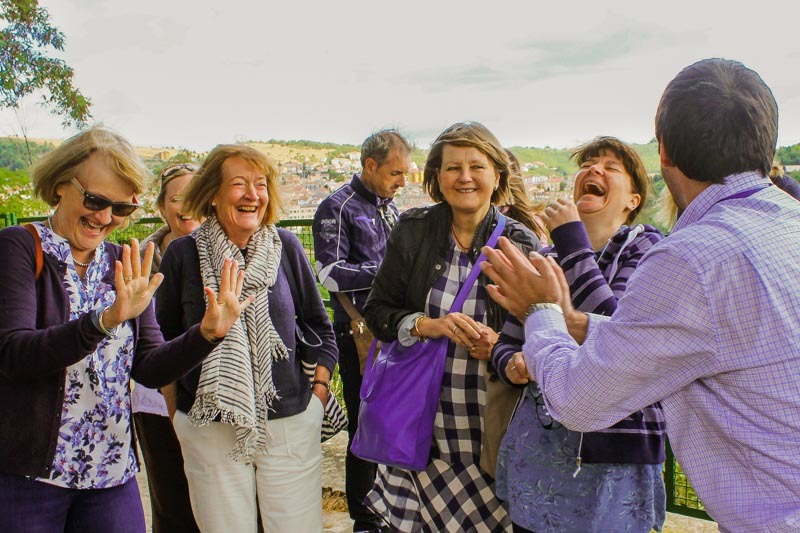 We take learning out of the classroom - into shops, small farms, the ‘centro storico’, artisan studios – giving you the opportunity to mix with the community and practise throughout the day. But study is important - 15 hours per week in the classroom focuses the mind and complements the practical. Levels assessed on registration, further more detailed assessment at the start of your course. Occasional ‘not quite beginner’ sessions can be scheduled – check dates on programme and prices page - and get in touch. 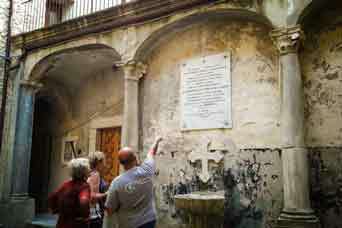 Tours and visits are with local guides, passionate about their town, and keen to share their family stories. 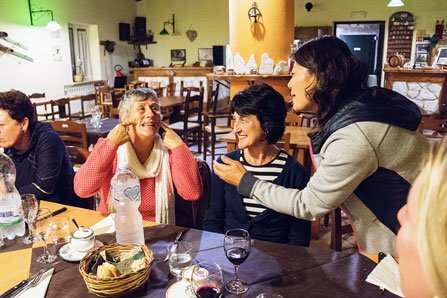 A friendly community, curious to know why you are here, and why you are learning Italian - happy to chat in any place, at any time. 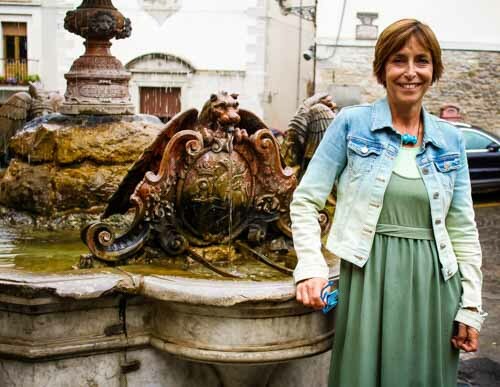 With a long a history of culture and learning, good Italian is spoken here by all. 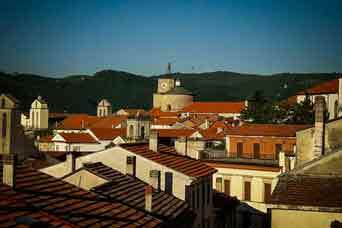 Agnone is a hidden gem, far from tourism, you will only hear Italian, and will have to speak it to be understood! Life here is slow, so there’s plenty of time to get the words out, and find a way to express yourself. Witness the ancient art of bell making – at the oldest bell foundry in the world. The Marinelli family, my grandfather’s cousins - have passed this craft down 42 generations, still using the same methods of their forefathers. 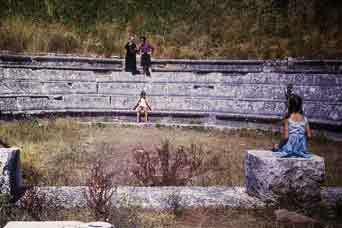 Visit the ancient Samnite ruins of Pietrabbondante: the churches and palazzos of the centro storico: local festivals and events - in careful, measured Italian, at a level to suit you. 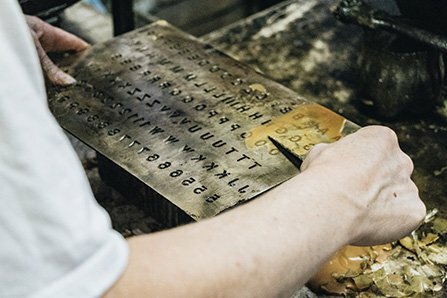 Explore the last working copper foundry - Agnone once supplied Italy with its best copper objects - another family business surviving and creating high quality work. All food here is slow food – fresh, always seasonal, exceptional ingredients, traditional methods. Get to the bakery early to see Tonino put in his loaves, and later the trays of pizza and pastries. 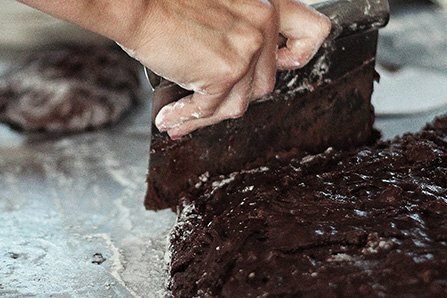 Taste one of Italy’s top 10 panettoni, and visit Dolciaria Carosella, since 1839, making confetti ricci, telgole, and mostaccioli to their own special recipe. Caciocavallo, scamorza and stracciata are some of the locally produced cheeses - winning awards around the world. 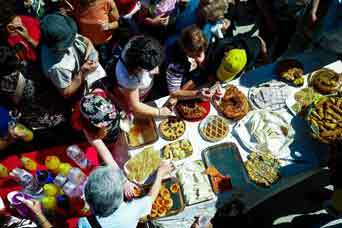 A region of exceptional olive oil, honey, salamis, truffles, wine, and so much more. 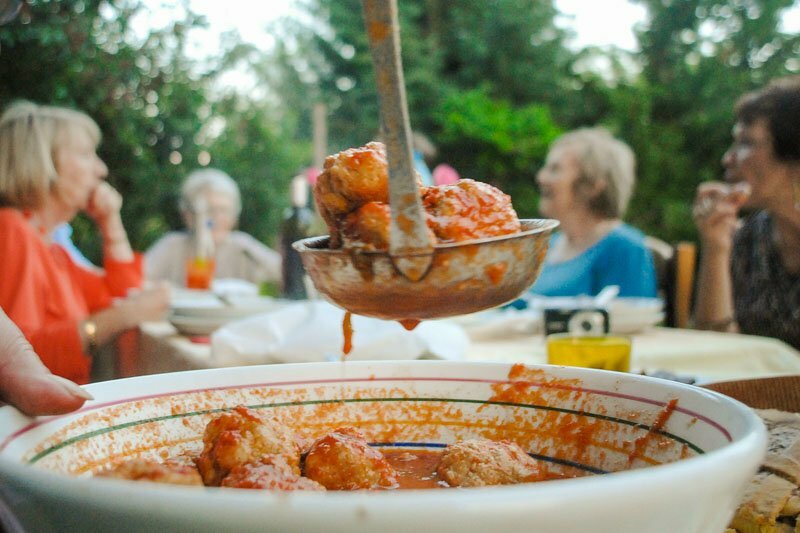 Join in the cooking with some of the locals, sit together around a large table to share meals with the family. 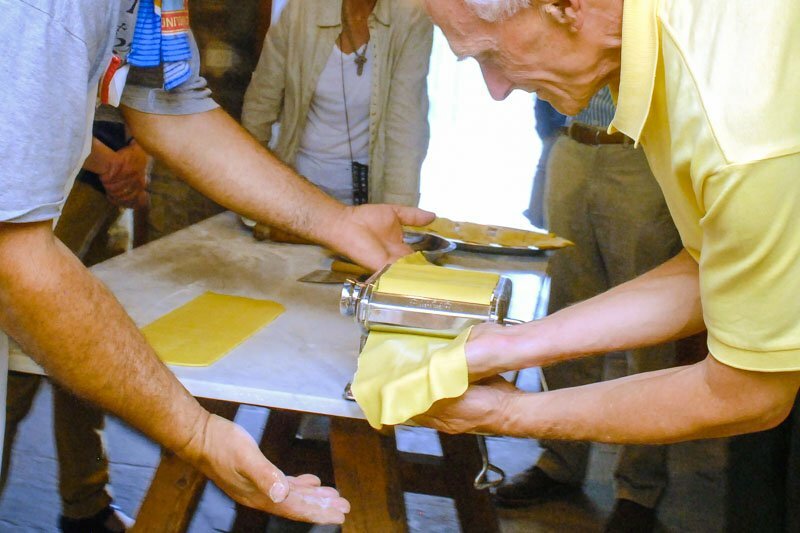 Inhibitions fall away when engaged in chopping or rolling pasta dough – a great way to get conversation flowing. Experienced cooks say ‘quanto basta’ for the proportions, but we manage to get enough information to try it at home. Food is simple, cucina povera, but experience is required, and the quality of ingredients is key. A great way to learn vocabulary of the kitchen and of enjoying food! All accommodation is of a high standard, in carefully chosen B&Bs with en-suite bathrooms. 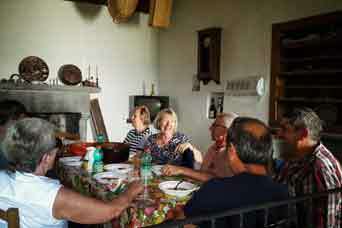 Meals and cooking in the homes of local people, plenty of chance for relaxed conversation. Other meals in restaurants, both in and outside of town. Screenings of classic Italian films help to acclimatise the ear. Grab some down-time to explore family-run shops, the market, home made ice-cream and pastries, or sit on a sunny terrace with a drink. 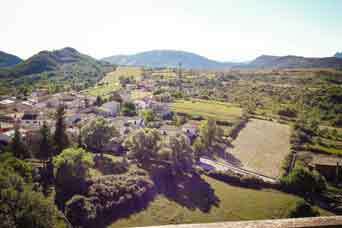 Activities such as hiking, horseback riding, or swimming can be organised as extras. A local festival, town event, or even a game of bocce, is a great way to be immersed, and get to know the community. It is our aim to help preserve the many ancient traditions, customs and crafts of the region, and to bring income to the community without in any way compromising its authenticity. With the support of local organisations we encourage our guests to explore, enjoy and learn while respecting, protecting and valuing the modest way of life of this region.